Becoming a master of online courses is not much different than becoming a master of in-person courses. The only difference is that you are shaving off a number of hours that you would be traveling to class each day. Not to mention, you won’t have to deal with parking either. However, online courses come with their own unique set of challenges – from overcoming any technical obstacles to procrastinating and not getting your work done. After all, you will be at home, so you will have all of your daily distractions hitting you directly in the face. You may have to contend with other people in your home who want to hang out or getting phone calls from friends. When you take online courses, you really have to manage your time accordingly. 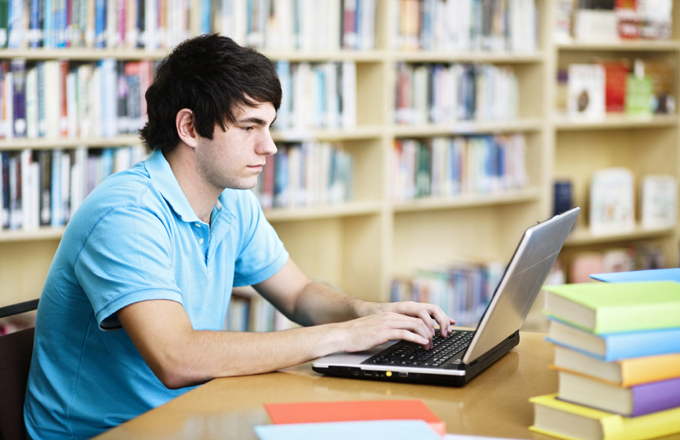 Here is how to master online college courses. Your first step in managing online college courses is to make you balance your course load. If you have too many courses, you could be spending the whole day in front of your computer. Ideally, you want to choose a few courses that allow you the opportunity to only spend a few hours in front of the computer while still maintaining a life outside of your studies. Pick a degree that suits you. In order to do this, you may want to look back at your high school transcripts and find out where you received the best grades. If you did well in math, social sciences and history, you may want to acquire UAB’s online economics degree. If you see that you were passionate about computers and computer science, you may want to get your degree in informatics. All in all, you want to find a degree that matters to you, but that will also reward you when you graduate. Some degrees may not be as useful in the current or future economic climate. Cutting out distractions may be difficult, but you want to try as hard as you can. If you have distractions, it will make studying incredibly difficult. This is why you want to clear your workspace of any clutter and you want to close any other computer programs. You also want to shut down your Internet browser to avoid going on social media. Of course, you also want to turn off your phone. On top of cutting out all distractions, you also want to keep a list of all assignments. If you don’t manage your workload, you won’t be able to keep track of everything and homework assignments or due dates can fall through the cracks. It’s as simple as that. Ideally, you want to make a simple file on your computer or phone. When a task is done, you can cross it out. On top of everything, you want to update your computer software. The last thing you want is for your computer to keep dying or slowing down when you stream a lecture. If you know that you will be taking online courses, you want to purchase the newest platform. In the end, you’ll thank yourself for taking this extra step.